Send us your calendar items! Trash pick up along Severn shoreline and stormwater retention pond. 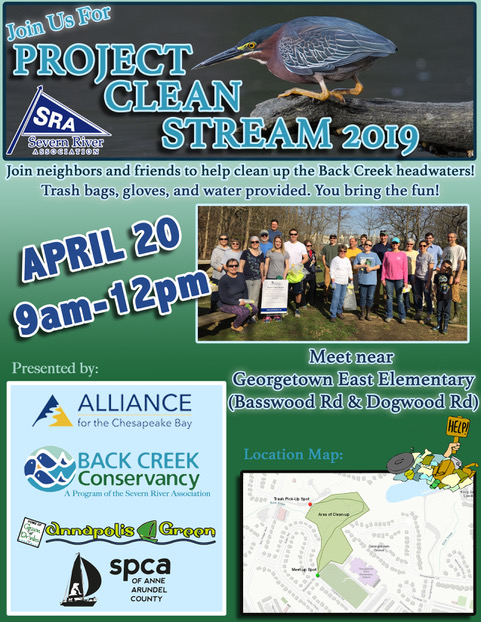 Join Annapolis Green, the Severn River Association, Alliance for the Chesapeake Bay, Back Creek Conservancy, SPCA of Anne Arundel County, friends and neighbors to help clean up the headwaters of Back Creek. Trash bags, gloves and water provided. No RSVP needed - just join in. Clean up litter along the road and in the gully behind homes. Join Ruah for an All-Levels, Grateful Dead-Inspired Vinyasa Yoga Class taught by Cathy Shaw as they celebrate Earth Day and flow to the iconic music of the Dead. This is an "all in" class for yogis of all ages, deadheads, environmentalists, and compassionate souls who are interested in a little "Deadasana" while making a difference alongside other like-minded folks. Dogfish Head ”American Beauty" beer will be served following class along with other snacks. Proceeds benefit Annapolis Green. Suggested Donation: $20. Please register in advance as space is limited. Join SRLT for a wonderful, relaxing day of enjoying our local woods through a variety of guided hikes, including bird watching, amphibian searches, and naturalist hikes scheduled throughout the day. Or just explore the outdoors at beautiful Bacon Ridge Natural Area with your family to celebrate the power of land protection to provide quality of life, wildlife habitat, and Chesapeake Bay and River health. Free admission. Join us and our neighbors in the Maryland Avenue & State Circle Merchants Association on Annapolis’ oldest shopping street for a fun day with art, live music, great food and one-of-a-king shopping. We will have our NAPTOWN TAP out with free filtered water for everyone. Bring your refillable water bottle! It’s a springtime festival double feature with the Annapolis Spring Fest at Market Space. Our next Green Drinks will be held during the inaugural Boat Maryland Week. At 5 p.m., right before Green Drinks, we will host a presentation entitled "Unseen Danger: Plastic Pollution in the Chesapeake." Stay tuned for details and save the date. Join more than 500 community leaders and friends of the Chesapeake Bay to enjoy a night on the Baltimore waterfront with an open bar, dinner, silent auction, and more. Funds raised are administered through the Chesapeake Bay Trust as grants to schools, nonprofits, community groups, and other entities for on-the-ground restoration and education projects. Join Keep Annapolis Beautiful (That's us!) for the Great American Cleanup and #cleanYOURblock! Things looking a little trashy lately. Join us and your neighbors all across the City to #cleanYOURblock as part of the Great American Cleanup and to mark the start of National Travel & Tourism Week. According to Visit Annapolis, the yearly economic impact of tourism in Anne Arundel County is $3.65 billion! Let’s work together to spruce up our town not only for our visitors, but for ourselves and our environment. To #cleanYOURblock, collect your bags and gloves at Visit Annapolis, go forth and clean up your neighborhood, and then return for a light lunch and celebration. Details to come. Celebrate the Kentucky Derby at two great houses of Colonial Annapolis, the Hammond-Harwood House and the Chase-Lloyd House. Annapolis gained fame in colonial times as the first site of city-organized horse racing. On the fairground north of West Street, George Washington and other leaders came to watch the races Race Week was a social highlight renowned throughout the colonies. Tours of the Two Great Houses, design your own Derby hat, craft beer contest, viewing of Kentucky Derby, live music, food, and more. An evening filled with food, drinks, live entertainment and auction items to benefit the South, West and Rhode Rivers. Dress is business casual. Tickets: $200/couple; $110/person. Buy online. This forum will describe how Managed Aquifer Recharge (pumping treated wastewater into aquifers) can address three important issues: Aquifer sustainability, Aquifer saltwater intrusion, Meeting mandated Bay TMDLs. Speakers: Chris Phipps, Anne Arundel County Director of Public Works; Ted Henefin, Hampton Roads, Virginia Sanitary District; and Mark Williams & J.P. Stokes, Earth Data. Free admission. Free parking. Bike to Work Day is a national campaign that celebrates bicycling as a healthy commuting option, while promoting public awareness of its safety and environmental benefits. Bike to Work Day helps raise awareness of the rules of the road for drivers, pedestrians and cyclists, and highlights the need to improve bicycle facilities to improve safety. Hundreds of cyclists come together each spring at dozens of events around Maryland to celebrate Bike to Work Day that coincides with National Bike Month. Join SRA for a dinner meeting where SRA volunteers will outline highlights of efforts to protect and celebrate the Severn River. Members will also vote to approve Board Members. A special guest speaker will be announced shortly. 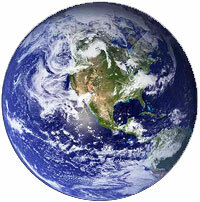 A 24-hour online fundraising campaign for 11 local environmental organizations. Features private gardens in the Historic District, an area that holds architectural gems from Annapolis' earliest days as well as Victorian-era and 20th century homes. 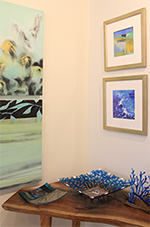 Proceeds benefit the historic Hammond-Harwood House, a 1774 Anglo-Palladian home, its museum collection of paintings, furniture, and colonial decorative art.. Various events at various locations throughout the country, including in Maryland. Come to the historic Annapolis harbor and learn about the fun and environmental benefits of driving electric. Presented by Annapolis Green. Come talk to enthusiastic owners of all types of electric vehicles and go for a ride! There will be seminars on various related topics. The showcase is free and open to the public. If you have an EV and would like to share your experiences, please register by clicking here. At this event, the Alliance f or the Chesapeake Bay recognizes environmental leadership award winners and showcases its programs and progress toward Chesapeake restoration. The Taste also helps raise critical funds to support the Alliance's mission and increase the impact of its work across the Chesapeake watershed. The event features unique Chesapeake-inspired food and drink, live music, raffles, and a silent auction.